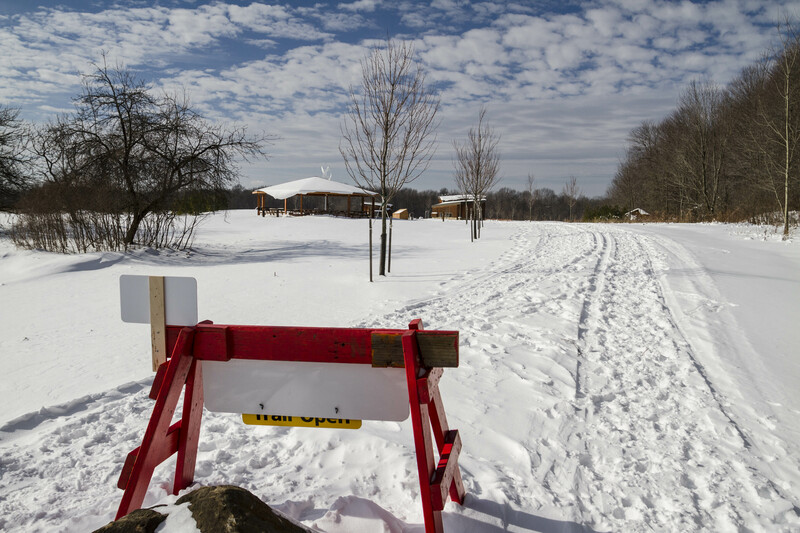 The barricades, signs and even permanent trail markers are in place at Observatory Park. 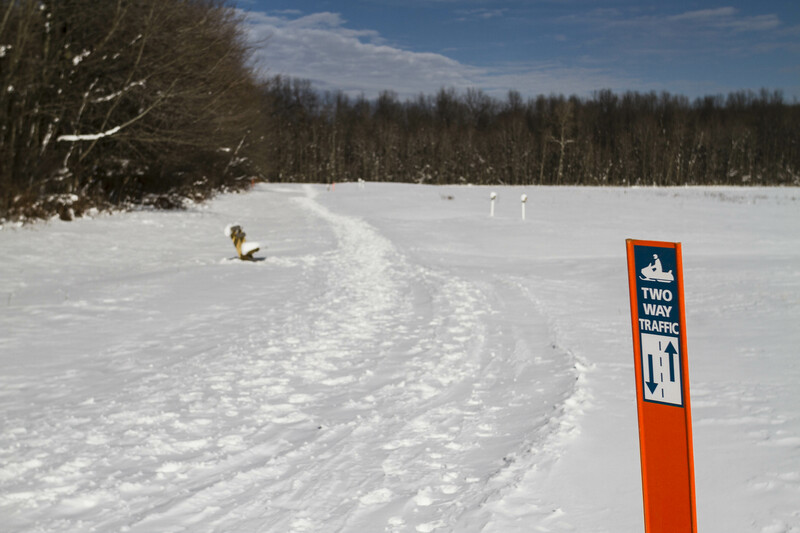 The snowmobile access that we were told by John Oros would begin in February is apparently effective immediately. Perhaps he needs a more accurate calendar. 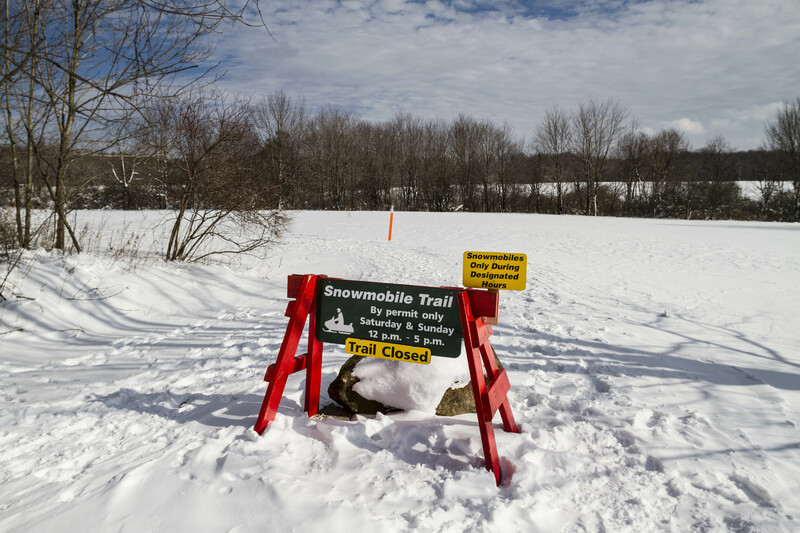 At shortly after noon today (Sunday, 01/24/16), the trail at Observatory Park was clearly marked as a “Snowmobile Trail.” There were no snowmobilers in the park at that time. While there were some remnants of snowmobile tracks visible on the trail, they appeared to be at least a day old, if not more. The tracks were nearly wiped out in most places by the footprints of walkers and some wind-blown snow. 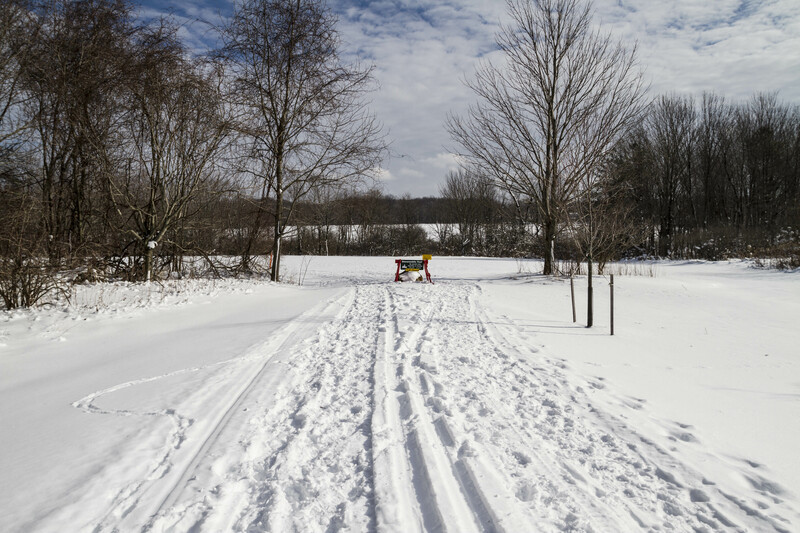 It appears the the first weekend of snowmobile use was pretty much a big nothing.